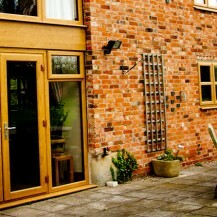 French doors provide a beautiful and sophisticated look that has seen them become a popular option for many homeowners. 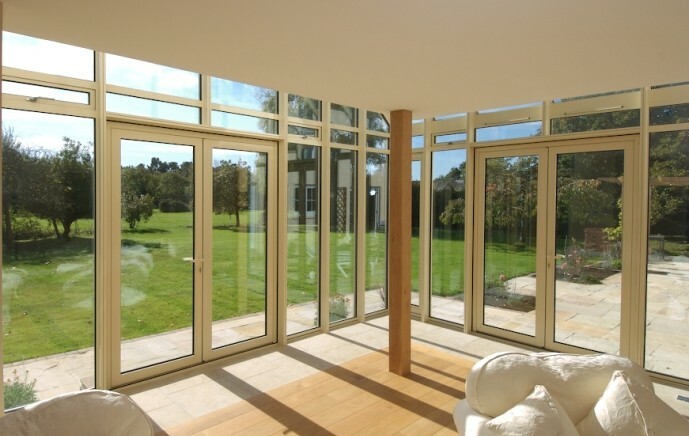 French doors are traditionally made from hardwood materials such as timber, but over the past couple of years materials such as uPVC and Aluminium have become a more popular choice amongst homeowners. Versatile French doors are a popular choice for homeowners who want to let more light into their home as well create easy access to their garden. 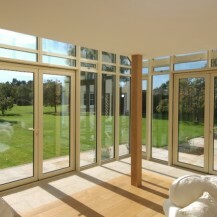 Contemporary French doors are designed to add an imaginative edge to your property. The contemporary range is available in range of colour finishes, materials and openings that are long lasting and low maintenance. The use of double glazing helps achieve a high solar and thermal rating- keeping the heat in during the winter and out during the summer. French doors are also available with triple glazing which can help make your home 35% more energy efficient, which is great for the environment. French doors are aesthetically pleasing and are available in a range of different materials including uPVC, Timber and Aluminium. Both uPVC and aluminium are guaranteed not to rot, flake, rust or fade, and are available in a wide range of colours and finishes. Timber retains its natural beauty and is impervious to twisting or warping.